Sweet pickled jalapeño chili peppers, processed with vinegar, sugar, onions, and spices. My friend Peg recently gave me some sweet pickled jalapeño chili peppers that she made using my bread and butter pickle recipe and oh my gosh, I couldn’t stop eating them. So of course I had to make my own batch the very next day. Ay caramba they are good, and oddly not as spicy as you would expect. Certainly not as hot as my regular jalapeño pickles. Just a little bit hot. Perky hot. And sweet and crunchy the way a bread and butter pickle should be. That said, the road to these pickled beauties was rather bumpy. Silly me, I thought given that I have been handling jalapeños my whole life I was immune to them and didn’t need to wear gloves when I stripped them of their flaming hot seeds and ribs. Hah! No I didn’t touch my eyes (thank God) but my hands were burning hot for several hours. Only soaking them in yogurt with ice cubes helped. My mistake? Washing my hands in hot soapy water before and during the processing of the peppers. This washed away the natural oils in the skin that protect the pores. The lesson learned? Wear gloves, or plastic baggies, when scraping the seeds out of the peppers. If you absolutely must use your bare hands, rub your hands with a little vegetable oil to protect your pores while working with the peppers. Then when you’re done, wash thoroughly in hot soapy water. Back to the sweet jalapeño pickles. They’re delightful. Please don’t let my tale of woe scare you away from making them. As long as you take precautions, you will be fine (don’t touch your eyes!) They’re delicious in a taco, on a burger, or as I love them, straight up out of the jar. They’ll easily last a year (or two) in the fridge. I find the heat of the chiles tends to mellow over time, so if they’re too hot when you first make them, just hide them in a corner of your refrigerator for a year and try them again. I highly recommend that you wear protective gloves while cutting and de-seeding the jalapeños. If you don't have gloves, you can protect your hands with plastic baggies. If you must handle the cut peppers with your bare hands, rub a little vegetable oil over your hands first. The oil will provide your pores with some protection. Wash your hands thoroughly with warm soapy water after handling the peppers. Do not touch your eyes for several hours. 1 Prep the jalapeños: Cut the stem end off of the jalapeños. Then cut them in half lengthwise. Remove and discard the seeds and the ribs. 2 Salt peppers and onions, cover with ice, chill: Place the peppers in a large bowl. Add the onions and stir in the pickling salt so that it is well distributed. Cover the peppers with a clean, thin towel. Put ice over the towel and place the bowl in the refrigerator to chill for at 4 hours. 3 Rinse and drain the peppers and onions: After the jalapeños and onions have been chilling for 4 hours, rinse the salt off of the peppers and onions. Drain, and rinse and drain again. 4 Make pickling solution: In a 4 or 6 quart pot, put the vinegar, sugar, and spices. Bring to a boil to dissolve the sugar. 5 Boil peppers and onions in pickling solution: Add the peppers and onions to the pot with the pickling solution. Bring to a boil again. 6 Pack jars with peppers and onions: Watch the jalapeño peppers. As soon as they are all cooked through (you can tell because their color changes from a vibrant to a more dull green), start packing your canning jars with the peppers and onions, using a slotted spoon to remove them from the pan. Pack the jars evenly with the peppers and onions, up to about an inch from the top of the jars. Then pour the sugary vinegar mixture over the peppers, until it covers them. 7 Seal and chill: Cover the jars and let cool to room temperature before chilling in the refrigerator. 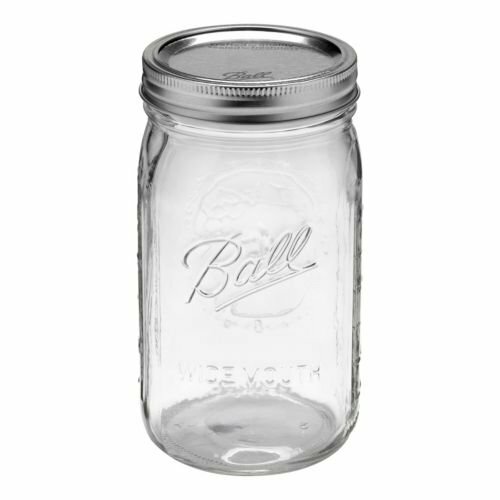 If you are planning to store outside of the refrigerator or for an extended period of time, use canning jars. 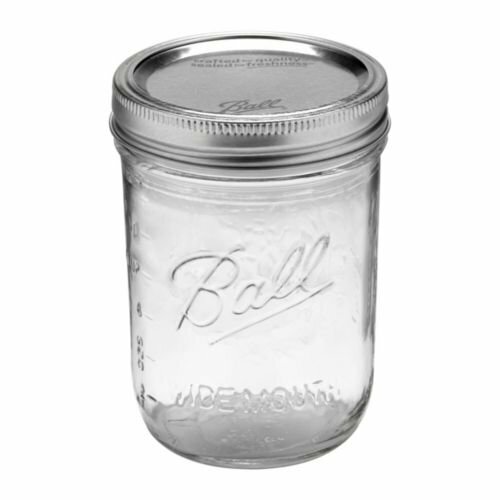 Sterilize your jars and lids first. Wipe the rims of the jars after you pack them with pickles. Process in a water bath for 10 minutes. For specific canning instructions, see more detailed instructions on our bread and butter pickle recipe post. Hello! All photos and content are copyright protected. Please do not use our photos without prior written permission. If you wish to republish this recipe, please rewrite the recipe in your own unique words and link back to Jalapeño Bread and Butter Pickles on Simply Recipes. Thank you! Can you can these? I’d like to give them as gifts! Hi Suzanne, yes you can can these. See detailed canning instructions on our regular Bread and Butter Pickles recipe. I made these yesterday and they are everything Elise says they are. Couldn’t wait so began tasting them today! WOW hard to stop. Thanks so much for sharing this recipe. I followed directions to a T. We loved them but I think I over cleaned my jalapeños no kick to them! I had overload of jalapeños from my garden so I decided to make them again! I cut the jalapeños into slices and cleaned some not all I also quarter my onions so they wouldn’t be stringy. Loved them more the second time with a little bit of a kick. When I serve them I mix half of the first jar and add some from the second jar! PERFECT KICK! I have used this same recipe for years and make it with sliced peeled cucumbers along with the jalapenos and onions. The crowd goes wild. Also whole jalepenos need a few silces in them to allow the brine to penetrate and they are good and sweet hot. Great recipe thanks! I’m so glad you like them Doug! Has anyone tried using whole peppers and not seeding? I do sliced pickled jalapenos and leave the membrane and seeds in and they are great. Wondering if these need to be sliced for flavor. Would like to hear from someone before committing. We love bread and butter pickles so are interested in how these turn out. Thanks. I’m super excited for my B&B jalapeños! My garden is starting to give me big batches now! But in regards to the old, & this may have been mentioned already, but I find it really easy to seed the peppers by cutting the stem off & using an apple corer & just ream around the edges a couple of times & the ribs & seeds come out & a little tapping removes the rest of the seeds & there’s very little skin to oil contact. After sampling a similar, commercially-produced product at a gourmet food store, I decided to go home and see if I could find a similar recipe and came across yours. I made them recipe and they are great! And yes, they taste very similar to the ones in the fancy food place – at a fraction of the price! Thank you Elise! These sound amazing. My suggestion for de-seeding is to NOT wash your hands until you are completely done, then wash with soap and water, then scrub your hand with rubbing alcohol. DO NOT do this and then cut more peppers as it takes all the natural oils off your hands and lets the pepper oil sink right in and you will end up with hand that are on fire all night long. Capsicum juice, the stuff that makes chilies hot is an acid. To neutralize an acid use a base. I never got the hang of doing kitchen chores while wearing gloves. When I’m done handling chilies I make a paste of baking soda and water. I use this on a plastic scouring pad to scrub my hands. I’m careful to pay particular attention to work it up under the finger nails. A dollar store tooth brush is great for this. I keep a box of bi-carb on the end of a shelf where I can find it if I can’t see. No matter how careful I am I still occasionally rub an itchy eye. A bit of bi-carb in a glass of water poured into the eye and blink the eyes rapidly to scrub the eyeball, repeat flushing and blinking until the wash works its wonders. Great Aaron, I’m so glad the stevia worked for you! Sounds like a terrific way to enjoy bread and butter pickles without all the sugar. Hi Aaron, good question! Normally I would say no, because stevia doesn’t contain sugar and sugar is useful in preserving, but in this case it’s the vinegar that acts as the preservative. I don’t know how the stevia would taste in this recipe. If I were you I would start with a very small batch as an experiment. Let us know how it turns out for you! These are very tasty and not too hot as promised. I had to go out to buy medical grade disposable gloves, but I was glad you encouraged me. I can usually clean a couple jalapenos without a problem. But a quantity like this is sure to be trouble! Thanks for the great recipe. Could I make this recipe using my frozen jalapenos? Hi Judy, probably. I haven’t tried using frozen jalapenos. If you do, please let us know how it turns out for you! This is a fandamntastic recipe and I’d like to thank you for posting it. I tried this one today and ended up mixing this recipe with the pickle recipe and adding 20 cloves of garlic and 1/2 a pound of ginger. The end product was completely delicious and I will definitely try this again. Thanks again for making this available. Great recipe! I mixed in some other peppers from our garden including a few red jalapeños, orange, and Hungarian yellow hot peppers. I did process mine for storage outside the refrigerator. The green jalapeños lose their bright vibrant green color and turn more of a dull green when cooked and canned. Not so with the red and yellow colors. They retain their vibrant hue. The one problem I have is that the jalapeño peppers drive my nose and eyes crazy when cutting and removing the seeds. I may have a serious allergy to them because I had to stop for a while to get my breath back. I did use the medical gloves so no problem with my hands. About halfway through the process, I hit upon the idea of preparing the peppers underwater. Bingo! This greatly reduces the problem. Just fill a sink with water. Then hold the peppers beneath the surface to cut them and clean the seeds. When finished, pull the plug and start the garbage disposal. Thanks for the recipe. I would like to cut the peppers in rings and keep the seeds and such to keep them extra hot. Do you see any problems with this variation of your recipe? Thanks. These pickles are amazing! I’ve been making them for the last 2 years after harvesting my peppers. I have also passed this recipe along to at least a dozen people who tried them and loved them also. I’m thinking about adding some habanaro peppers to the mix in the next batch. We’ve eaten them straight out of the jar, put them on hamburgers and hotdogs and minced them for deviled eggs! OMG – Cannot get enough!!! Will have to plant tens times as many Jalapeno plants next season. My girlies are all asking for the recipe! Now we are planning meals around these beauties! Bravo Peg – truly delightful!